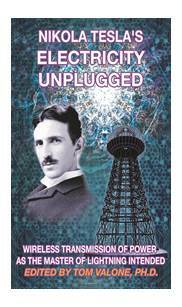 Tesla's Electricity Unplugged edited by Thomas Valone. Invented by Nikola Tesla in the 1800's with his Colorado Springs experiments and then perfected with the Wardenclyffe Tower on Long Island in 1903, Tesla's wireless transmission of electricity has baffled all of the world's experts save only a fortunate few. In this new book, Dr. Valone has assembled the best articles and graphics, including a few chapters borrowed from the popular Harnessing the Wheelwork of Nature book, to explain Tesla's theory and experimental proof for the transmission of power through the earth-ionosphere cavity and how modern scientists are verifying this futuristic design by the Master of Lightning for our benefit. A sample article (condensed slides in PDF) by Dr. Nick Simos on Tesla's Wireless Transmission, with pictures is online. 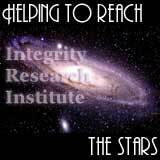 The two-day Tesla Energy Science Conference held in 2003 has videos, DVDs, and a Proceedings of the Tesla Energy Science Conference. One of the Tesla technologies developed by IRI and exhibited at the conference was an experimental PREMIER 2500 (Photonic Rejuvenation Energizing Machine & Immunizing Electrifying Radiator) which can be seen in the collage. The Premier 2500/3000 flyer is available in pdf format.